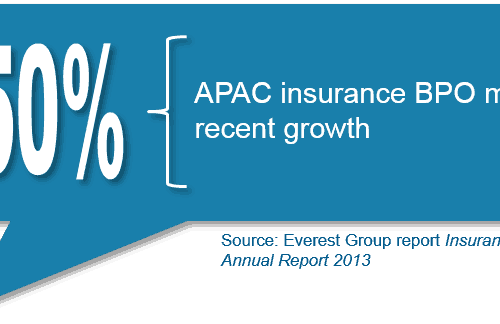 While still mostly based in the U.S. and UK, insurance BPO is expanding into newer geographies. 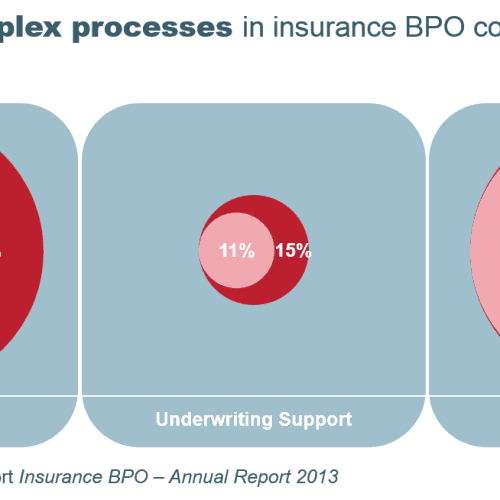 In the 2007-2010 period, the U.S. and UK accounted for 90%+ of all insurance BPO activity, while in 2011-2012, they accounted for 75% of the activity. Visit the report page. 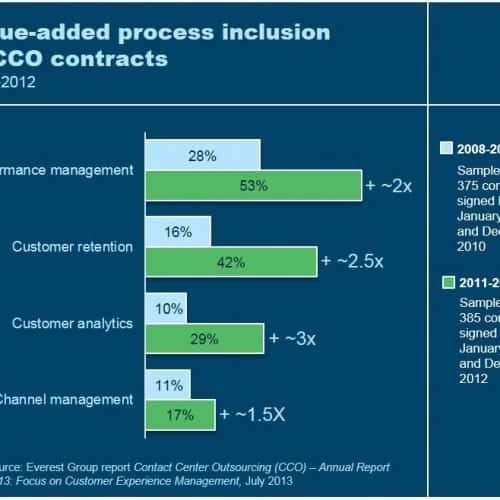 While cost reduction continues to drive the value proposition, demand for complex work is increasing in insurance BPO. 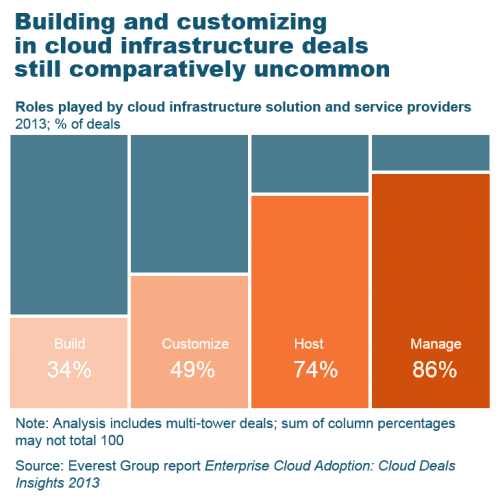 Inclusion of analytics support in contracts has risen from 24% to 40% in the last two years, followed by underwriting support (still relatively uncommon, but growing), and then actuarial analysis. 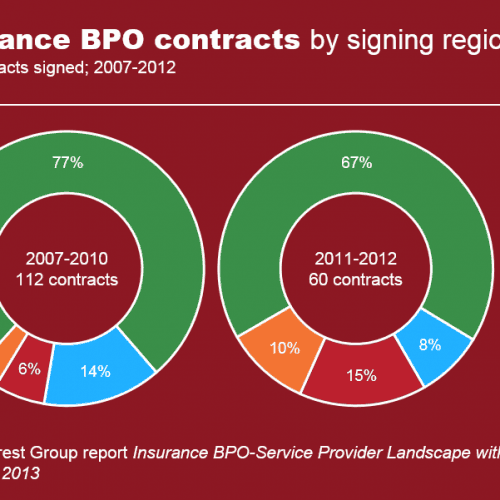 Although its base is small, the Asia Pacific insurance BPO market has grown by about 250% in recent years, with its share of contract signings more than doubling in 2011-2012 over the prior four years (from 6% of all contract signings to 15% – second only to the U.S.). Small buyers (less than US$5 billion in revenue) make up 73% of buyers adopting insurance BPO in the last two years in APAC, and 52% of buyers adopting insurance BPO in the UK.